How to Defrost Food Safely - Does It Go Bad? Freezing is a pretty convenient way of preserving most types of food. Thawing, on the other hand, is not that convenient because it takes time. That means it often requires you to plan ahead to have the food ready for cooking or reheating when needed. Also, if you don’t defrost food properly, there’s a risk of contamination. Many people defrost food on the counter, and that’s usually not the safest way to go. 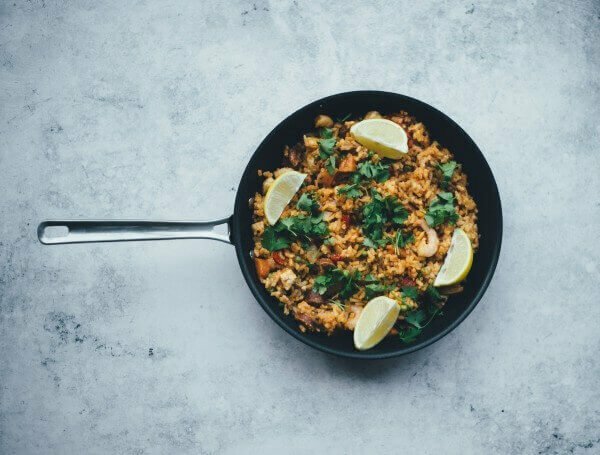 This goes especially for foods left to sit at room temperature for hours at a time as well as foods that you’re not planning to cook thoroughly before eating. The danger zone for bacterial growth in food is between 40°Farenheit and 140°Fahrenheit or 5°Celcius and 60°Celcius. 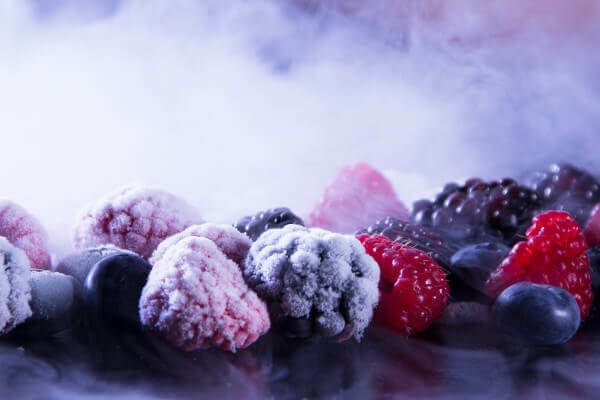 That means that bacteria that might have been present in the food before freezing starts to multiply once the food reaches that temperature rapidly. Because of that, you want to avoid leaving the food at that temperature for extended periods of time. But that big package of meat that sits on the counter is still frozen, you say. While the center of the package is definitely still frozen, the outer layer after sitting for some time at room temperature is most likely not. And that means the bacteria can start to multiply there, which may cause foodborne illness. Of course, you can thaw frozen meat and other food on the counter a hundred times and never get sick after eating it. From time to time, I defrost food on the counter myself because it’s the easiest way of thawing frozen foods. However, you should be aware that this method is risky and there are better alternatives out there. Obviously, most of them require some additional steps, but at the very least, they keep the food relatively safe from bacteria. Thawing frozen foods in the fridge is by far the safest way to defrost most foods, including meats and poultry. In fact, the USDA recommends freezer-to-fridge defrosting because this method keeps thawed food safer to eat while retaining the ability to refreeze the thawed foods. That said, thawing frozen foods in the fridge takes a lot of time, so it’s best to plan ahead if you’re about to cook up a storm. A massive chunk of meat will take hours to thaw in the fridge. For example, a large to medium-sized turkey will take at least 24 hours to defrost. Boneless chicken breasts or a pound of ground beef, on the other hand, will take 12 hours to thaw completely. Generally, it takes at least a day to thaw every 5 pounds of weight. Other factors that you should consider when thawing foods in the fridge include the thermostat setting as well as cold spots in the refrigerator. Food will take longer to defrost in a fridge that’s set at 35 °F than one set at 40 °F. Some parts of the refrigerator are much colder than others. Thawing foods in the coldest spot in the fridge may lead to longer defrosting time. Last but not least, you can refreeze food defrosted in the fridge. Refreezing thawed foods can be done safely, but there will be minimal loss of quality. Cold water thawing is one of the quickest ways to defrost a variety of foods. The process involves submerging frozen food in a pot or container of cold water until the food is completely defrosted. This method is definitely faster than defrosting frozen food in the fridge. Please note that you should keep the water as cold as possible when thawing. This way you avoid food entering the temperature danger zone. Another option is to place the food in the container with water into the fridge. This way you can be sure the food you’re defrosting won’t enter the danger zone. To speed things up a bit, you can change the water every 30 minutes or so. Some people do cold water thawing in the sink. When you’re thawing a big bag of meat or a whole turkey, the sink is often the only place where it will fit. If that’s the case, sanitize the sink first, so it doesn’t contaminate the food you’re thawing. If you can fit the food you want to defrost into a container or a pot, it’s almost always a better choice. That’s because it takes less place and water to do the thawing. Generally, you can thaw a pound of frozen foods in an hour or less. 3 to 4 pounds of food could take longer, about 2 to 3 hours. For example, a pound of ground meat will only take 30 minutes to thaw, but a whole turkey could take 3 hours to defrost this way. Once you start using this method on a regular basis, you’ll be able to tell how long it will take to defrost a certain amount of food. This is a fast and convenient way to defrost a variety of frozen foods. However, if you got the settings wrong, you might end up cooking the food you are trying to defrost. Because of that, be mindful of the temperature setting and the defrosting intervals. Thankfully, most microwave ovens now come with a “defrost” setting. It might take several tries before thawing a big chunk of frozen solid meat this way, so check the food each time a microwaving interval ends. Uneven defrosting is also common when you defrost food using a microwave oven, so it’s best to cook the food immediately after thawing. You can refreeze foods thawed in the microwave as long as you have cooked them thoroughly first. 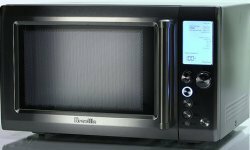 For more details instruction on defrosting in the microwave, check out our Microwaving FAQ. When you’re cooking a dish and are pressed for time, you can always skip the thawing and cook the frozen foods directly. Of course, you have to adjust the cooking time to account for the time it takes for the frozen ingredients to thaw while being cooked in a dish. The cooking time will also take longer because the frozen ingredients have to be thawed thoroughly during cooking. 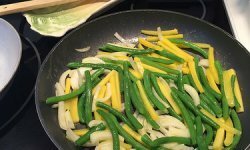 Frozen vegetables, soups, meats, and poultry can be safely cooked without thawing as long as these ingredients have been prepped (cleaned, cut, and washed) beforehand. Soups could be cooked without being thawed too. If you are a meal-prepper, cooking without thawing is your best friend. After a long day at work, you grab your meal-prep container from the freezer, throw the contents onto a non-stick pan and set it on low to defrost. Once the food is defrosted, turn the heat on high to reheat your meal and have your dinner ready in no time.